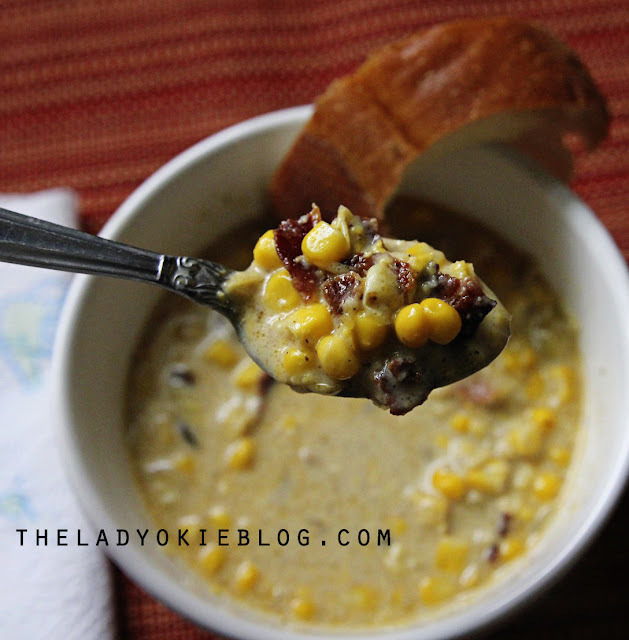 I first had this delicious corn chowder at a friend's house. It was so good I had her copy the recipe for me, and then I made it for Jordan. Now he requests it all the time. 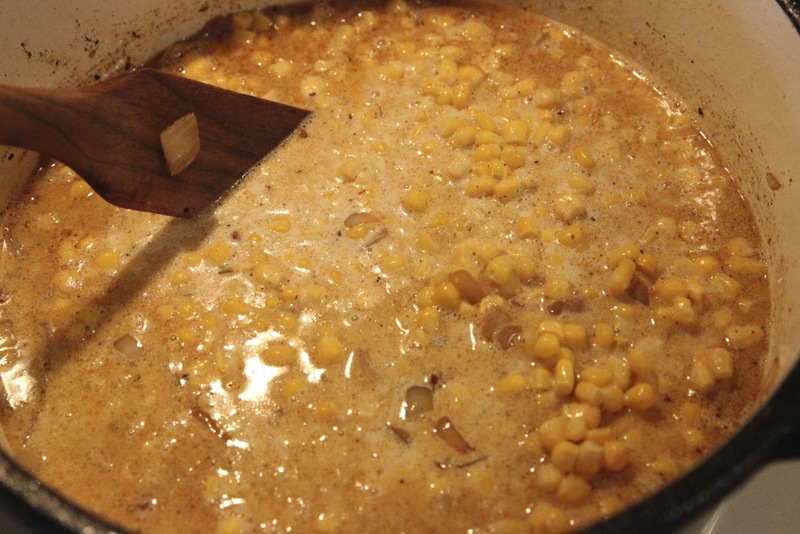 This is an easy, simple corn chowder with only 11 ingredients. And the best part is that you can cook it all in 1 pot! 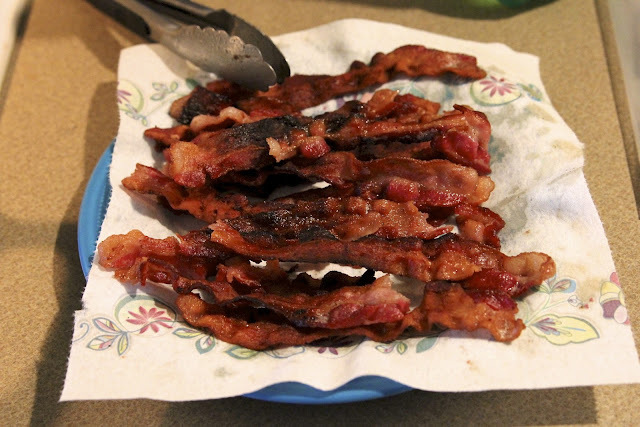 > Cook bacon in a large saucepan or Dutch oven until crisp. Transfer to a plate when done. >Add the garlic, paprika, red pepper, and stir. Cook for 2 minutes. 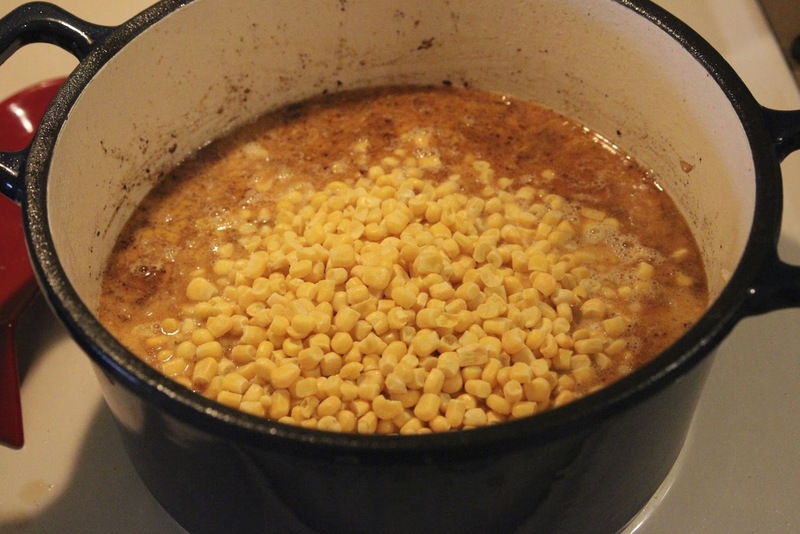 >Stir in the frozen corn, chicken broth, and half-and-half. Bring to a boil. 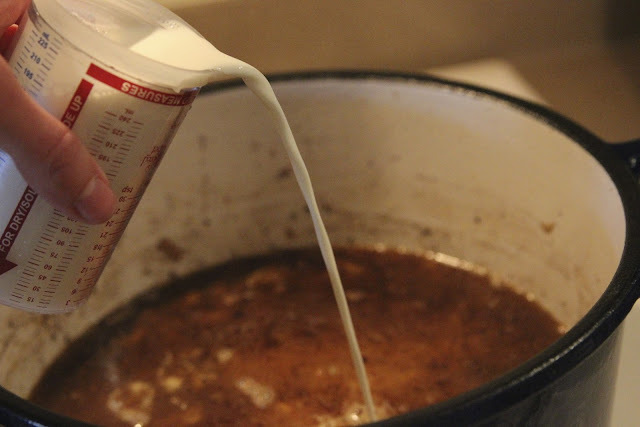 Reduce heat and simmer for 15 minutes. 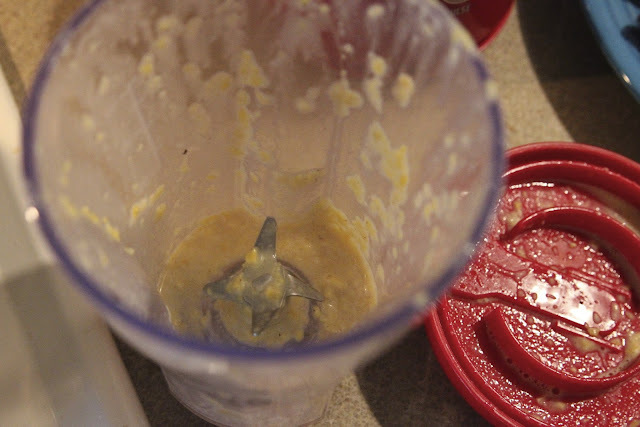 >Transfer half the soup to a blender and puree until smooth. 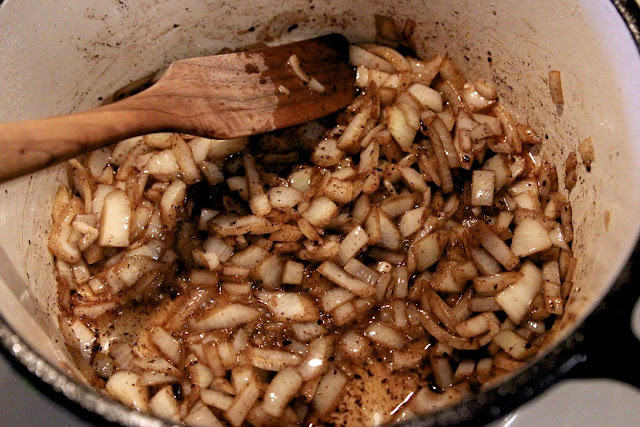 Return to the pot and stir in 1/2 teaspoon each salt & pepper. 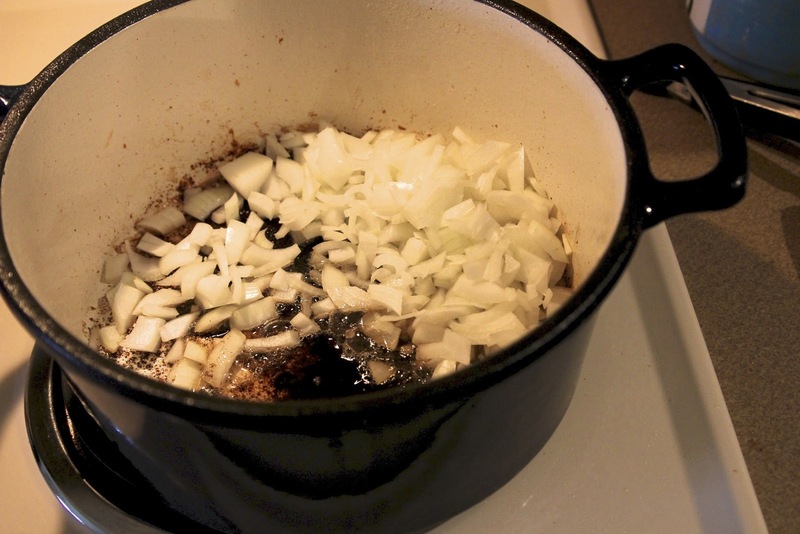 >Top with scallions (if using) and crumbled bacon. The bacon is honestly what makes this soup, so don't leave it out! Serve with bread. So good! Your food photography is superb, friend! This sounds really good. 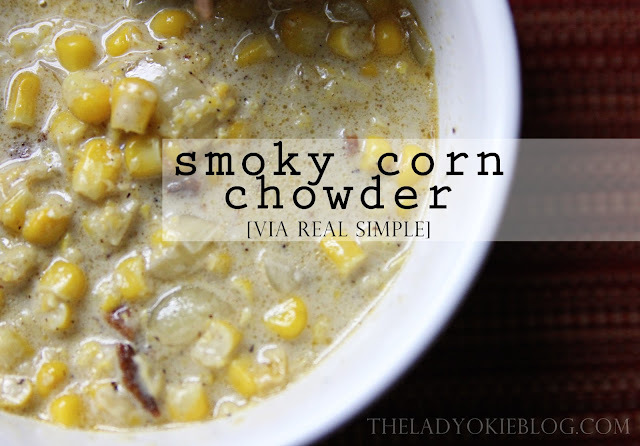 I think I'll try it with a can of coconut milk (I'm doing minimal dairy while nursing little man, booo) later this week when it gets chilly. YUMMMM!!!! 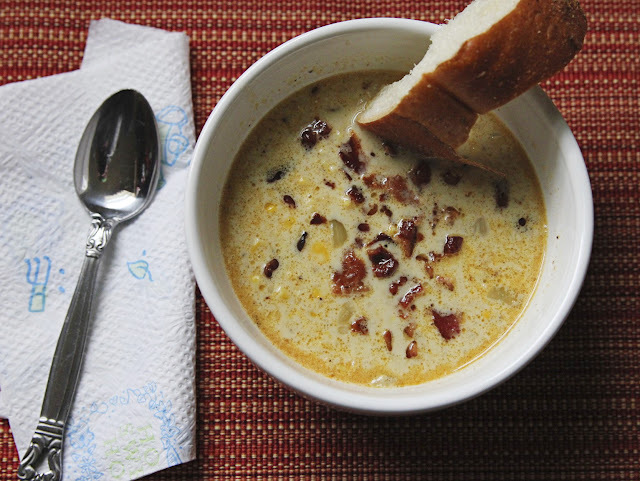 I've never made a chowder at home - I'm going to have to try this! Thanks for linking up with Jess and I! Hi!! OK, this looks amazing!!! I can't wait to try, especially with the addition of bacon! :) Thanks for linking up! Anything with bacon and half-and-half is a winner for me. This looks delicious. I love Real Simple recipes! 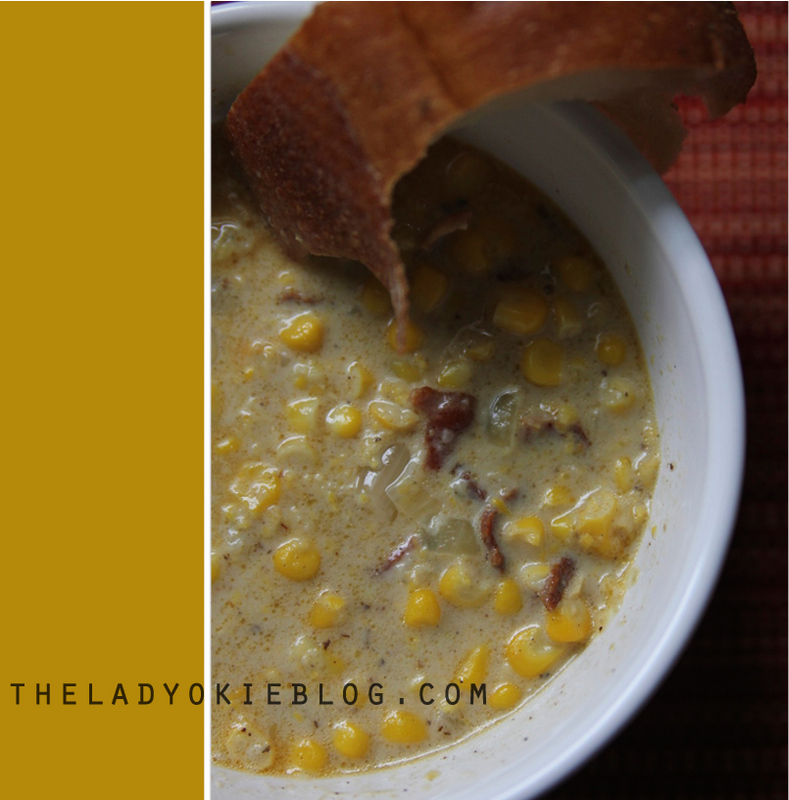 Oh my, corn is one of my biggest weaknesses, so this is right up my alley! Pinning this!! I'm usually not one for chowder, but this looks pretty good! Also, I loooove corn!